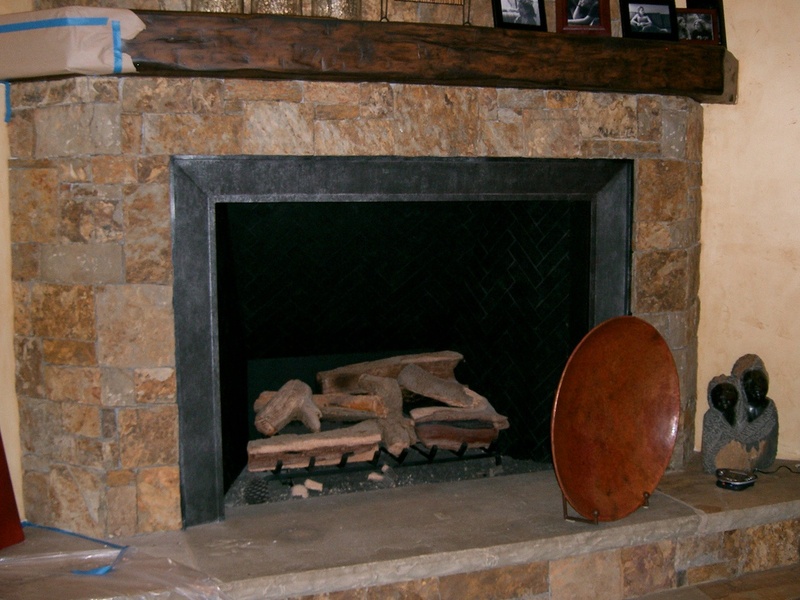 Goals and Vision: Matching the scale and proportions of the fireplace with the firebox surround. Leaving the mantle to be the most pronounced element, while complimenting the area. Specific challenges: To accommodate the project’s time frame and the few possibilities for everyone to be together at one time for decisions, a series of four suggested profiles were mocked up and mounted. Each profile was as varied as possible within the existing trim materials in place. Patinas were varied in place to fine tune the finish to the room as it was completed.